Double your fun with the DUAL SLIDE N SPLASH this Summer! The Dual Slide N Splash is a two-lane slippery slide that spans 35 feet in length. 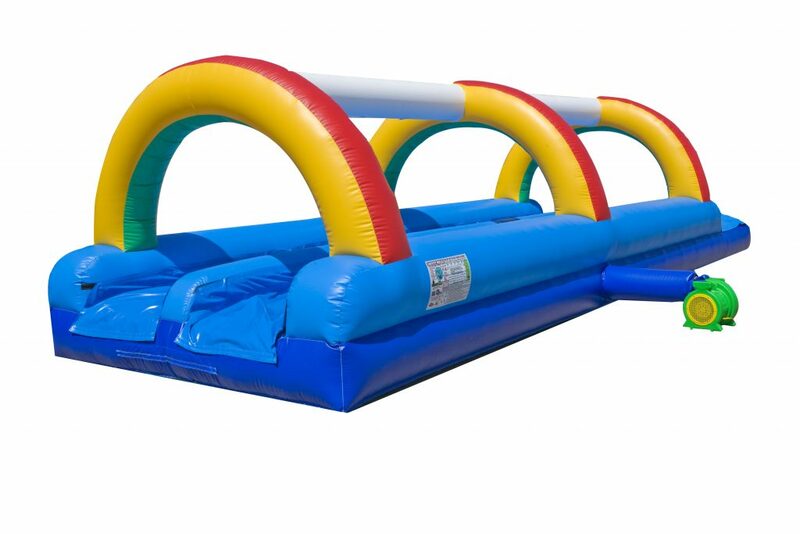 It features high inflatable walls to ensure the safety of sliders. Run and jump head-on into the slide, speeding underneath rainbow arches and into a pool at the end. With two lanes, the Dual Slide N Splash doubles the fun and allows for fun competition among sliders.